Knee arthroscopy is a minimally invasive surgical procedure that allows direct inspection of the joint and its structures and treatment of several knee conditions. This is usually done as a day surgery procedure. Dr. Razvan Stoita uses knee arthroscopy to treat tears of the menisci (“cartilage”), disorders of the joint lining or to remove loose bodies. 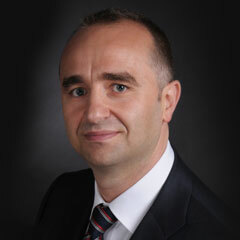 Dr. Razvan Stoita also performs arthroscopic anterior cruciate ligament (ACL) reconstructions using hamstring graft. This procedure is performed in patients who describe instability in an ACL deficient knee. The aim of the arthroscopic knee surgery in Sydney is to restore knee stability and prevent meniscal damage and wear of the articular surface. The hamstring graft is harvested through a small incision below the knee joint. Accurately placed and sized tunnels are drilled in the femur and the tibia and the graft is inserted and fixed in position using metal/absorbable implants. A well-structured physiotherapy regimen is started early after surgery to facilitate rehabilitation.